This entry was posted in Alberta Animals, Alberta Birds, Birding, Blogging, Canada Birds, Feathers on Friday, General Birding, Nature, Spring and tagged Feathers on Friday, Yellow-headed Blackbird. Bookmark the permalink. Great Photo! They are really cool birds! Charlotte, what a beauty! 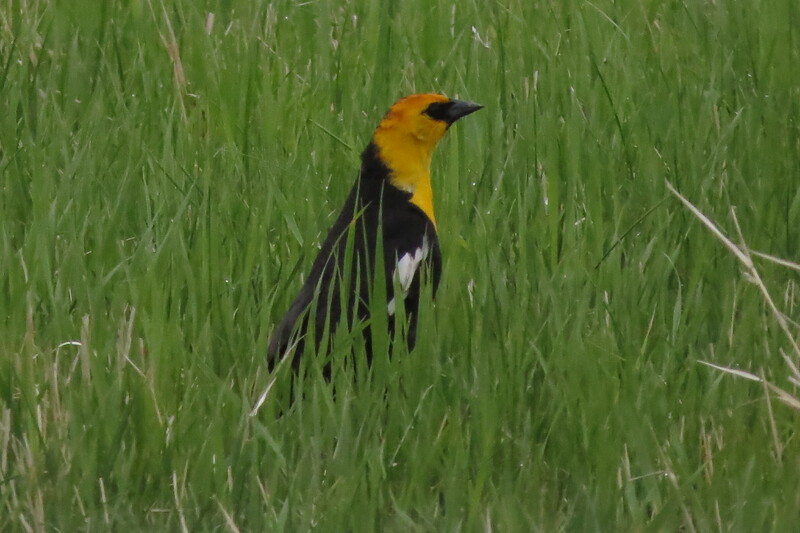 I saw my first Yellow-headed Blackbird many years ago in The Tetons, Wy. It was a thrill! I haven’t seen one in a long time. Thanks for sharing yours!